Can't wait for the full Filmonik Kabaret experience later this year? We're meeting at The Carlton Scout Hall in Carlton North for a Mini-Kabaret weekend of fun, spontaneous, non-competitive filmmaking. Can’t wait for the full Filmonik Kabaret experience later this year? 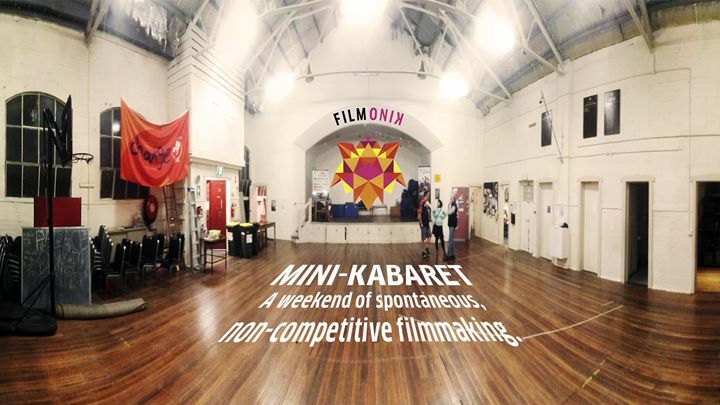 We’re meeting at The Carlton Scout Hall in Carlton North for a Mini-Kabaret weekend of fun, spontaneous, non-competitive filmmaking. The short films created are then screened Sunday evening in the same Scout Hall. 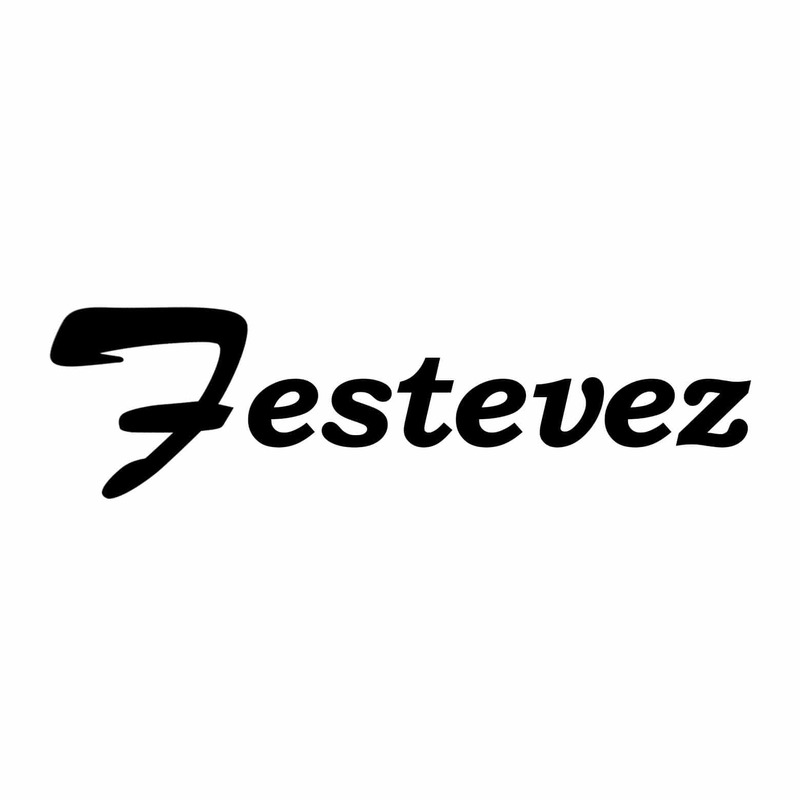 That’s a call for all filmmakers, actors, musicians, writers, technicians and film aficionados to hang out and participate in the making of one or many 4 minute or less short films. This Kabaret is labelled a Mini-Kabaret because it is smaller in scope, lighter in logistics and in costs involved. Bring your talents, creativity, gear and this is pretty much what it’s about. It’s no frills and raw with the same goal of having a new cool short film under your belt at the end of the weekend and having achieved it by collaborating with new people. Registration will be done via Google Forms. Link to come later this month. A $10 to $15 cash donation will be suggested at the door with most going toward the Carlton Scout Group for their Hall. All participants are free to make and screen a film. The Filmonik Kabaret is our own Melbourne recipe of Kino-Kabarets events happening around the world since 2001 (http://www.planetekino.com/). The Kabaret concept, often described as a video “jam-session”, celebrates the reciprocal exchange and sharing of knowledge and technical resources, all in a centralised working environment, the Kinolab. In short, there are no real teams and no competition; you show up, you hang out and suddenly films happens. Post-production is done working and collaborating in the same space in the style of a hackathon or game jam. Have a look at the general spirit of Kabaret as it was for our 2018 edition. Wanna have the most epic short film weekend? Support Setting Sun Film Festival at the same time; go to 1 or 2 of their screenings as well as making a short film at the Kabaret in between. A bit crazy but some of us will do it. 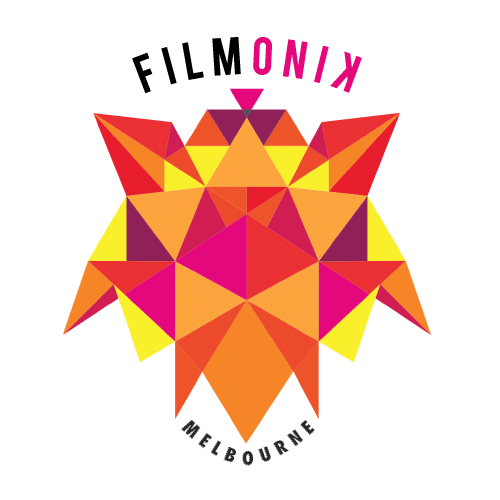 Filmonik is about non-commercial, non-competitive short filmmaking with a monthly open-screen and an audience hungry for fresh creative shorts from up-and-coming and established filmmakers. Chat with the film artisans, drink a few pints and party in a laid back bar environment. Expect comedies, horror, drama, visual experimentation, docos, animations, action, and everything in between in equal doses. 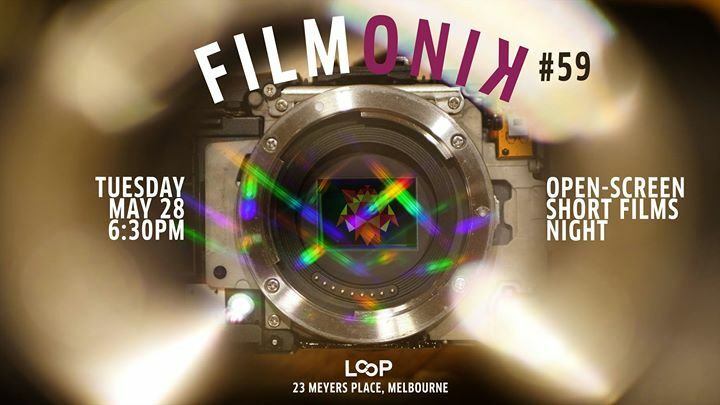 Filmmakers: The next screening is in a short while so get working now and commit to making a new short film for Filmonik. It’s open-screen; bring on a USB drive your most recent film with a running time of 5 min and under and we’ll screen it. 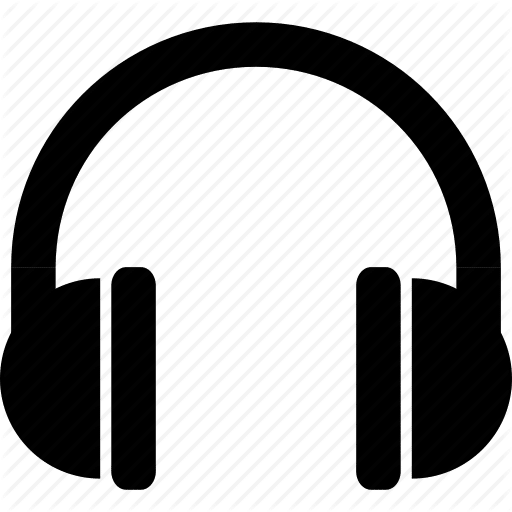 Spontaneously submitted short films of any genre and of all filmmaking levels have been creating awesome and balanced screenings for the public for a while now. A quick QA with Iphy the host follows each film. Organize your own premiere with us or run a sneaky pre-premiere of your festival film to get feedback without the hassle of submitting, paying huge entry fees and waiting. You can read the guidelines here: http://filmonik.com.au/how-to-screen/. Filmonik is part of the worldwide Kino movement active in more than 70 cities around the world (http://www.planetekino.com/). TUESDAY May 28 at Loop Project Space and Bar. 23 Meyers Place, Melbourne CBD.